Ten (10) New and Old World items, including Ancient Egyptian. 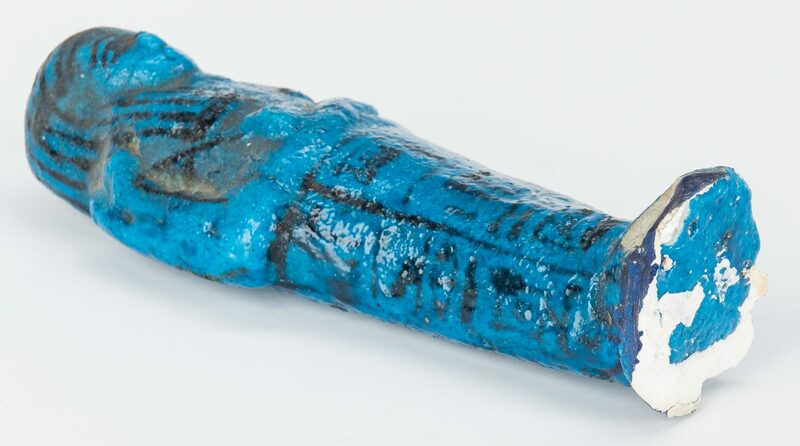 1st item: Egyptian blue faience ushabti with crossed arms, black painted detailing to face with five columns of hieroglyphics to front and back of legs. Previously attached to black wooden base. 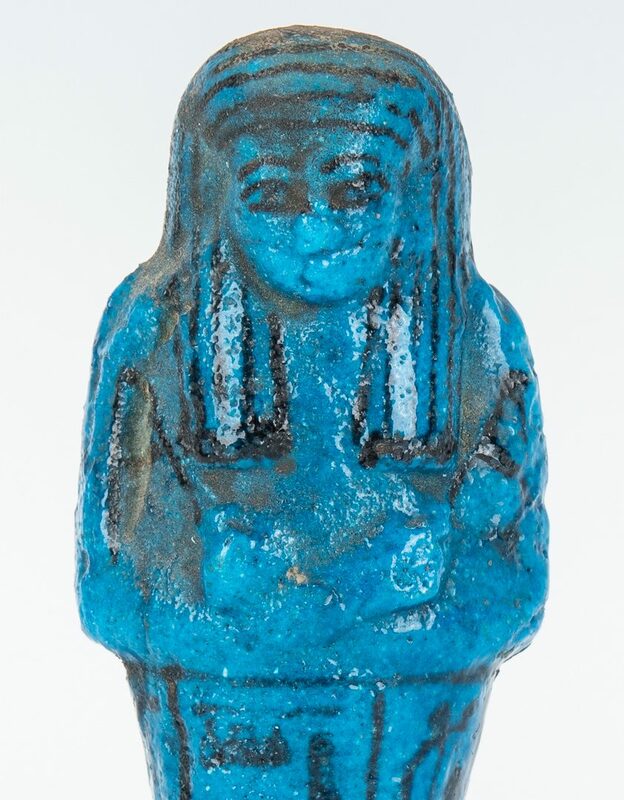 Ushabti – 5 3/4" H x 2 1/8" W x 1 1/8" D. Base – 1 1/4" H x 2 5/8" W x 2" D. Circa 500 B.C. 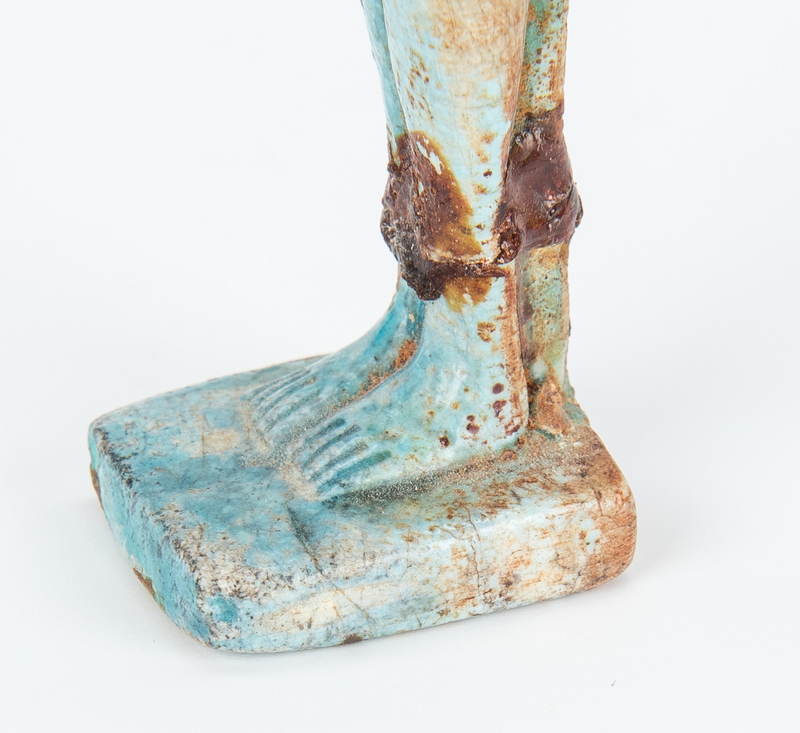 2nd item: Egyptian light blue faience ushabti standing against a plinth incised with a column of hieroglyphics. 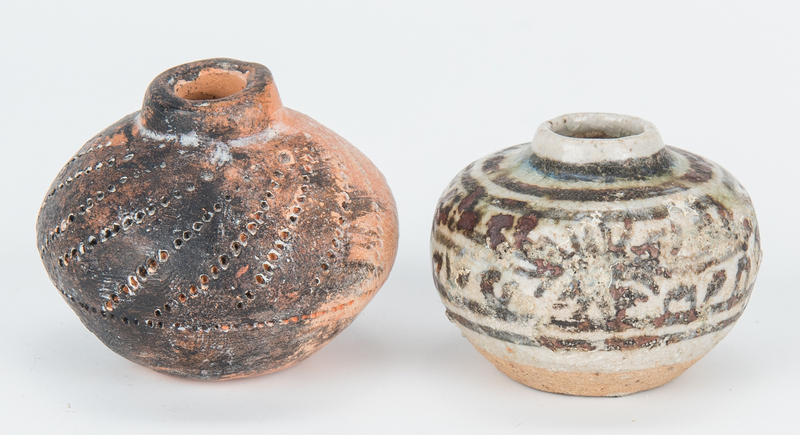 3 1/4" H x 7/8" W x 7/8" D. 3rd item: Small Neolithic Minoan red ware jar with dot pattern to upper portion of body, traces of possibly later black slip to majority of body. Attribution inscribed in black ink, underside of flat base. 1 1/4" H x 1 5/8" dia. 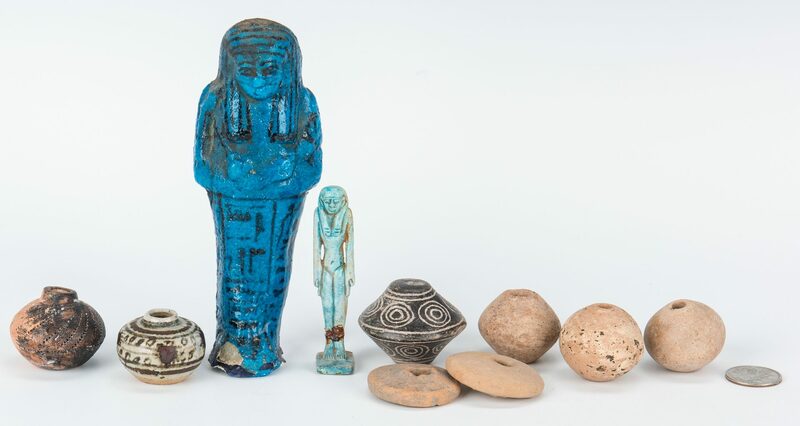 4th item: Small Egyptian or Middle Eastern buff ware with white faience jar with black painted band of hieroglyphic like symbols to rounded body. 1" H x 1 1/2" dia. 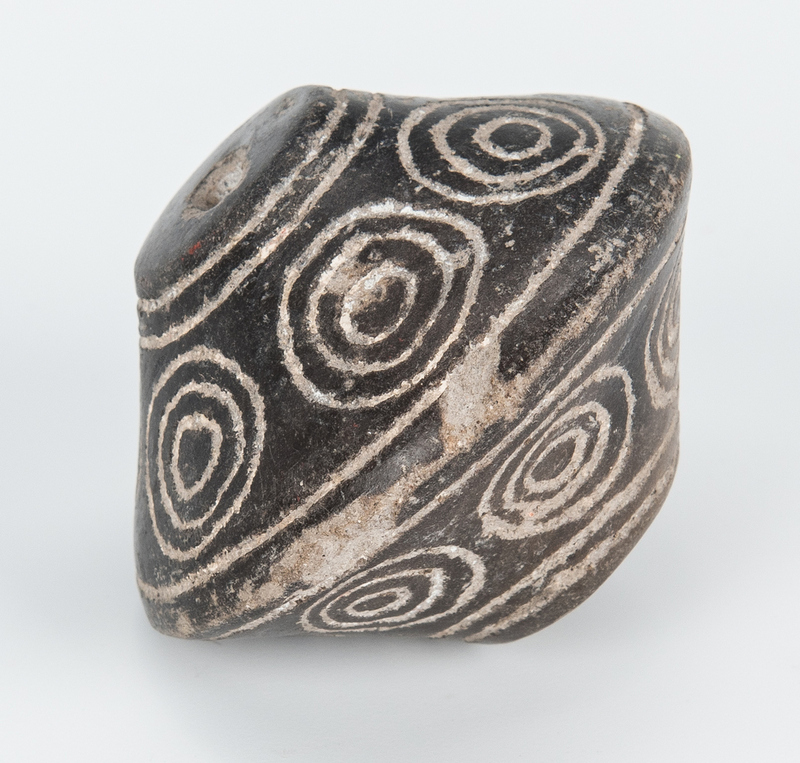 5th item: One (1) biconical spindle whorl carved from dark grey stone with incised circular deigns to each side with pierced hole through center. 1 7/8" dia. 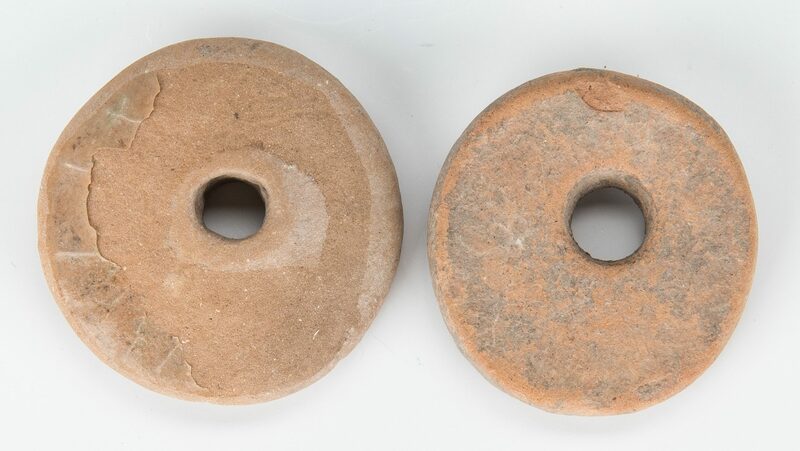 6th-7th items: Two (2) Aztec round buff ware spindle whorls or ear decorations, each with hole to center. Ranging in size from 1 5/8" dia. to 1 3/4" dia. 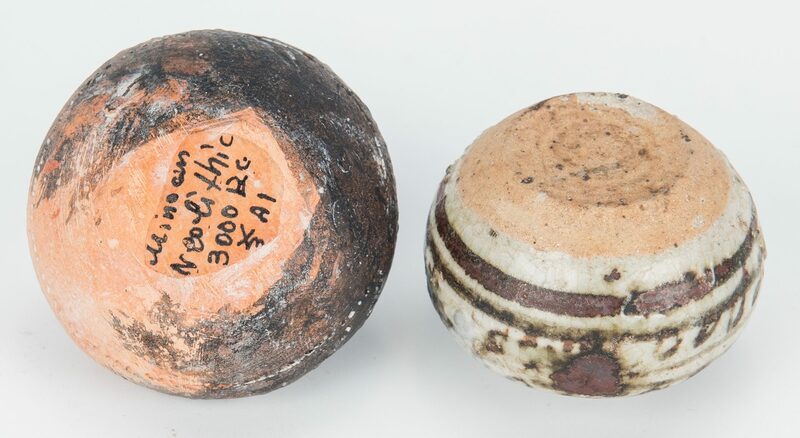 8th-10th items: Three (3) Aztec Lake Chapala, Mexico round buff ware beads, each with pierced hole through center. Approximately 1 1/2" dia. Provenance: Estate of Celia (Cece) Webb, Nashville, TN, purchased in the 1970s. CONDITION: Overall good condition with wear, areas of loss, to be expected from age. 1st item: Overall good condition with some dirt encrustation to crevices. Areas of loss to base of ushabti where it was previously attached to base. 2nd item: Old repair to break at ankles. 4th item: Overall good condition with firing flaws to body.